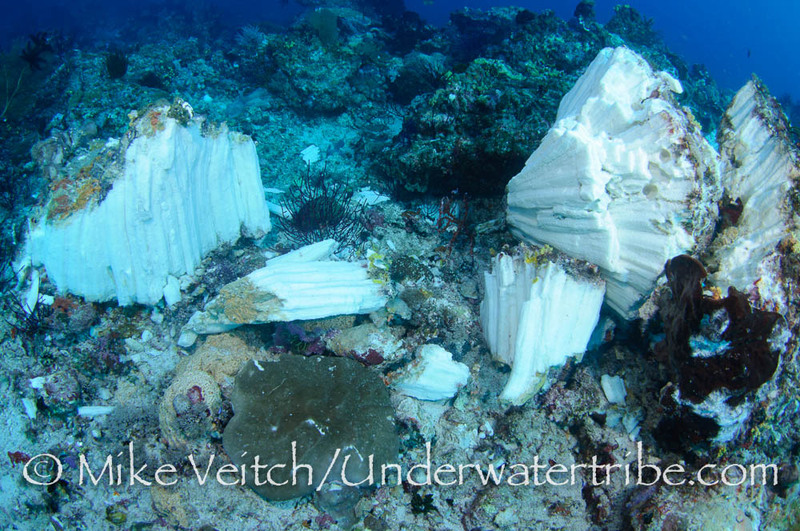 A word of warning, some of the images in this post are difficult to look at, if you don’t like to see images of destroyed reef please don’t look any further. I find it sad that I need to preface a post like this, but unfortunately, its a fact of life these days in many areas around the world. There are many reasons why different people in different countries participate in “dynamite fishing” but I won’t get into the economical, cultural or population based aspects of it, instead the goal of this post is to show the damage that blast fishing can have on a coral reef. A lot of people are unaware of the reality of illegal fishing, and nothing can describe the damage better than a series of photos to go along with a short article. On a recent dive trip, I was swimming along a beautiful reef, one of my favourite sites in this particular island group, when I began to notice evidence of bomb damage. The first thing I happened to notice was 5 or 6 really large morays all within a few metres of one another; as this is a strange occurrence, I started looking around the area to see why this would be? Large morays in this area don’t usually congregate unless there is an unusual food supply around. Sure enough, looking at the hard coral, I noticed several cracks in the coral heads. A few metres further on there was a large patch of rubble that was obviously bombed. Not only was it bombed, it was done recently, either earlier that day or the day before. The reason I could tell it was fresh was due to the fact the broken areas were bright white and the presence of several dead and shredded fusiliers under the coral heads! Sadly, I had found the reason for the presence of the large morays: they were attracted by the smell of the dead fish on the bottom that were obviously victims of illegal dynamite fishing. 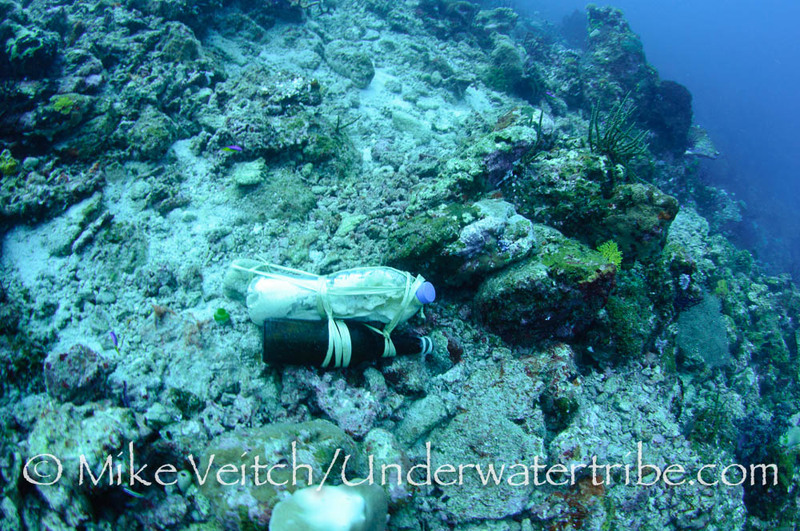 Thankfully, there was only one small area of the reef affected, in fact, many of my fellow divers were unaware that they were looking at dynamite fishing and were surprised to learn what caused the damage. 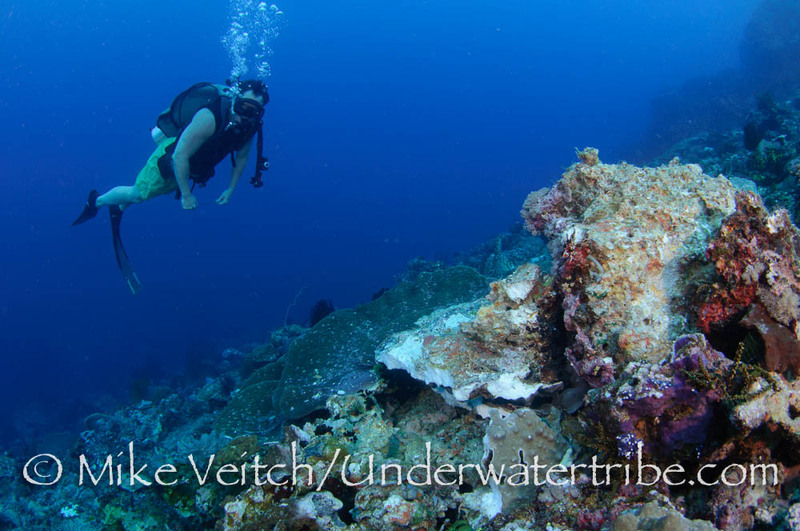 Two weeks later, I returned to this same remote island group with another set of guests; before diving this site, I briefed them about the previous damage we had encountered and told them to expect a small area of damage midway through the dive. 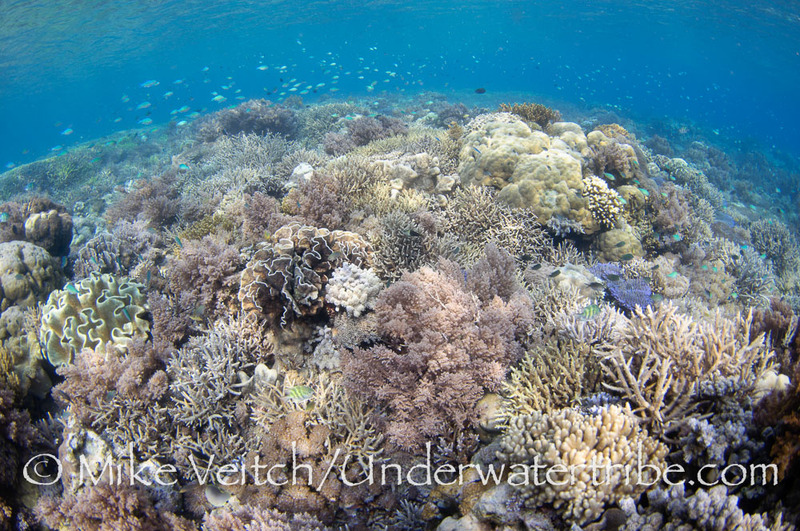 After jumping in and enjoying a great start with lots of soft coral and small tropical fish, we came around the corner to where I expected to see a small patch of damage; only to be confronted with wide scale destruction! What had been a few square metres of damage two weeks earlier was now a patch of devastation about the size of a soccer/football field! Obviously our friendly neighbourhood reef bombers had been back during our absence and continued where they had left off. Not only was the reef in terrible condition, there was actually one unexploded bomb lying on the bottom! One of my fellow divers pointed it out to me and of course I immediately wanted to take a photo of it, however, as I got closer I felt a sense of trepidation as I don’t know too much about these devices. Obviously, I was a bit apprehensive that it could explode at anytime, maybe even my strobes would set it off? So I turned those off 🙂 I didn’t get too close, but I managed to take a photo of it and then made my way out of the area. We didn’t go back to that reef again due to the instability of this item. Basically, a “fish bomb” is a mix of kerosene and fertilizer that is stored in a discarded beer or soft drink bottle and then thrown into the sea where it sends out a large shockwave. This shockwave kills all fish in the area including those in the water column such as fusiliers and surgeonfish, as well as those on the reef like butterflyfish and damsels. Some of the fish float to the top where the fishermen simply scoop them up with a net, but the vast majority sink to the bottom due to damage to their swim bladders; these fish are not so easily collected and therefore go to waste. 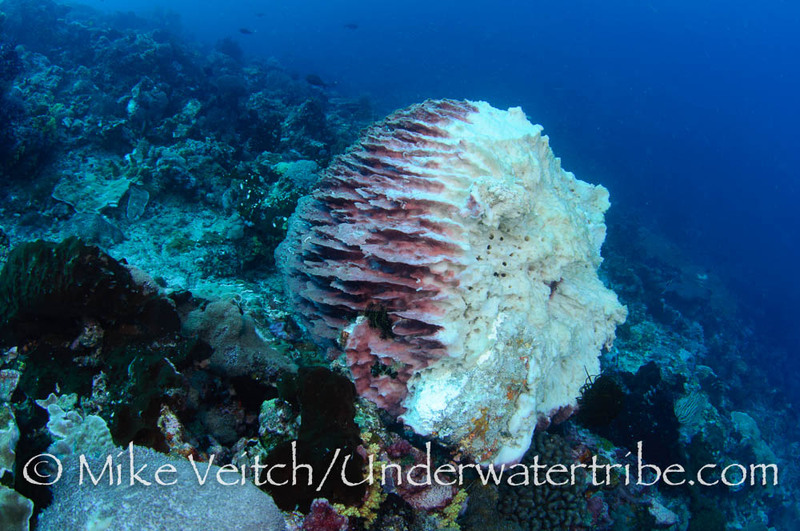 The high level of dead and wasted fish and the severe damage to the coral means that a bombed area of reef is no longer a productive part of the ecosystem, a very inefficient method of fishing indeed! Sadly, there was not a lot we could do as this remote location is far from any patrols and regular enforcement doesn’t take place.